So says Stephen D. Simpson (www.commodityhq.com) in edited excerpts from his original article* entitled A Deeper Look At China’s Commodity Industry. For other commodity news and analysis subscribe to their free newsletter and munKNEE.com’s very own free Your Daily Intelligence Report which consists of edited excerpts from the “best of the best” financial/economic/investment articles of the day to provide clarity and brevity and ensure you a fast and easy read. China’s mining industry is quite large, but in many respects quite out of date. It is difficult to find specific numbers regarding mining’s contribution to China’s economy, but direct mining activities are likely not much more than 5% of China’s GDP, and the industry employs about 4% of the country’s workers. Presuming that China’s mining sector operates along similar lines to South Africa and Australia, it does not seem unreasonable to suggest that mining-related industries (including refining, smelting, and so on) are another 5 – 10% of GDP. Approximately 25% of China’s trade is in minerals, ores and the like. China is exceptionally rich in natural resources, but the country has been exploiting them at an unsustainable rate. Nevertheless, the Asian nation is a leading producer of a whole host of minerals and metals, including aluminum, antimony, barite, cement, coal, gold, iron, lead, molybdenum, rare earths, salt, tin and zinc. Due to the enormous appetite for raw materials, though, China is in the rare position of, in many cases, being the world’s leading producer of a commodity, as well as the world’s leading importer. #1 iron ore importer as well, importing 52% of world exports. [Read: China’s Demand for Iron Ore (Steel) Continues – Here are the Facts]. major importer of each on the global stage. China is likewise a major producer of silver and platinum group metals (PGMs). China is the world’s leading exporter of rare earth metals. the leading exporter in the world of antimony, barite, rare earths and not much more (though it is a major player in steel and aluminum). In contrast, despite large amounts of annual mine production, Chinese demand exceeds supply in minerals like chromium, cobalt, copper, iron, nickel, PGMs and potash. With its enormous population and economy, it is of little surprise that China is an equally enormous consumer of energy. [Read: 10 Facts About Global Energy Sources & Consumption – You’ll Be Surprised] As its economy has grown, the country has found itself increasingly in the position of being a large net importer for much of its energy needs. #13 in reserves (20.4 billion barrels), but its fields are mature and declining and the country is increasingly turning to more aggressive approaches like shale oil exploration. #16 natural gas importer, but this number could rise as pipelines and LNG facilities come online around the world. #3 in coal reserves in the world (about 13% of the global total at 128 billion tons), but the quality of those reserves is up for debate. Agriculture is a large part of the economy (over 10% of GDP), not only from the value of products grown, imported and exported, but also in the number of people it employs and the extent to which it drives the economy away from the industrialized areas. # 1 producer of fresh vegetables (almost 5x larger than #2 India). [Read: Major Investment Opportunities Exist In Agriculture! Here’s 50]. a net importer of agricultural commodities. China imports a large amount of soybeans, palm oil, cassava, corn and rapeseed, while it is a leading exporter of garlic, apples, other fruit, dried beans and vegetables (fresh and preserved). 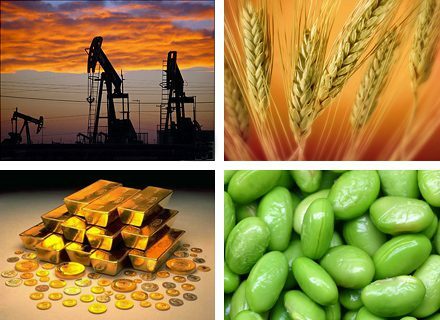 China’s huge influence on commodity markets moves a large number of stocks and funds, and investors have numerous options for playing these opportunities. Baosteel, the world’s second-largest steel producer, who will at some point pursue a listing in Hong Kong and perhaps an ADR for the United States as well. the FTSE China 25 Index Fund (FXI). [Read: The “Ins” and “Outs” of Investing in Commodities and Commodity Trading: Which Option Options (if any) Belong in Your Portfolio?]. Although the argument that the nation may have overbuilt some of its Eastern cities isn’t unsupported, there’s a huge portion of China that still has relatively primitive and/or inadequate infrastructure. That argues for many years to come of major commodity production, consumption, and importation for China and the countries that serve that commodity food chain. 1. Commodity Trading: Which Option Options (if any) Belong in Your Portfolio? For these investors looking to make a play on this elusive metal, we explore below every nook and cranny of the investing world to offer 50 ways to play gold. 7. Passport Potash Inc. (TSX.V:PPI): Your Passport to Profits?